Everyone loves Tile, the tiny Bluetooth trackers that stop your objects from getting lost, but until now they've always been a bit… plastic-y. Enter Herschel Supply Co, who have created a range of accessories for the device. The covers are crafted in tactile pebbled leather, and come in three styles. 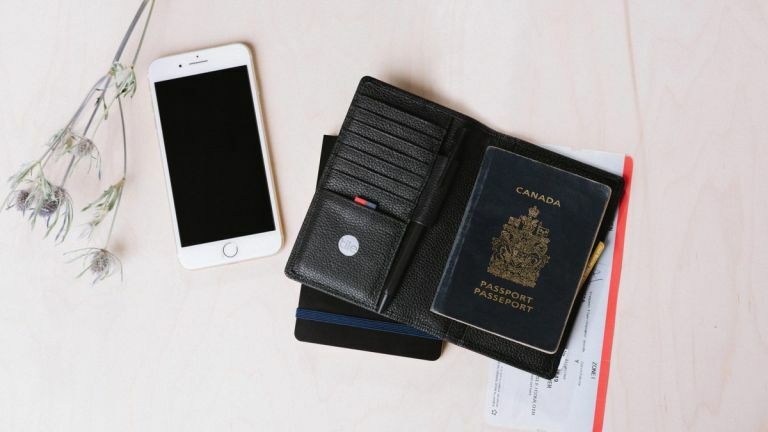 There's a wallet, a passport holder and a keychain, each with a dedicated pouch for your Tile. Each case also comes with a Tile Mate or Tile Slim, which is activated through the custom Herschel Supply section of the Tile app. Once activated the Tile works in exactly the same way as a regular Tile. If within Bluetooth range, you can ring your Tile using the app, or use the Tile in reverse to find your phone -- even if it’s on silent. Or, if the Tile is outside of Bluetooth range you can also see the last place you had your item on a map, and enlist the power of the Tile community to help you find it. “We wanted to give our consumers a way to keep track of items they simply can’t afford to lose: their passport, wallet and keys,” explains Rob Gill, Director of Innovation at Herschel Supply. The Tile Collection by Herschel Supply ranges between £50-95, and is available from ThirtySix.